It has been reported that Elgin, Illinois has more residents than all of the other "Elgins" combined. However, it certainly isn't the only one. 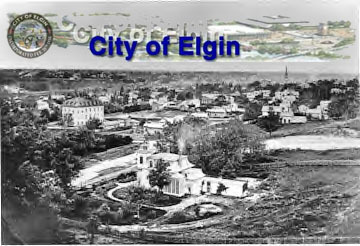 About a dozen other cities and villages across the U.S. are also named Elgin. As I find other postcards of "Other Elgins", I will add them.